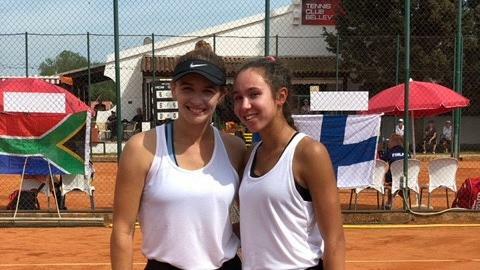 Members of Team Malta at the Fed Cup. Team Malta will face South Africa in the Fed Cup play-off spot, on Thursday, their first since 2004 when they were defeated by Norway. Malta advanced to the promotion play-off for the European/Africa Group II after emerging winners in their three Pool B, Group B matches against Ireland and Morocco, and were awarded a win over Uganada after the latter failed to honour the fixture. Meanwhile, South Africa clinched a play-off berth after winning Pool B, Group B which was comprised of Finland, Montenegro and Kenya.